Dr Paul Ladouceur will be lecturing on "The Russian Religious Renaissance of the Twentieth Century" at the Patriarchal Toronto Orthodox Theological Academy on Thursday 20 September. The academy is located at the Greek Metropolis at 86 Overlea Boulevard, Toronto. On Sunday 16 September, the eve of the feast of St Sophia and her three daughters, Faith, Hope and Love, patrons of the Byzantine rite chapel at University of Toronto (within Elmsley Hall at St Michael's College), a retreat will be held for University of Toronto students and any other Orthodox and Eastern Christian students in the Toronto area. The retreat entitled "Wisdom for Life in Our Modern Day: Examples Tried and True" will be led by Fr John Boutros from 4pm to 6pm. That will be followed by a pizza dinner and then the Vigil (Vespers and Mattins) of the feast from 7 to 10pm. Join us for an evening of conversation with CS Lewis featuring distinguished guest speakers from the Orthodox and Anglican traditions. Join us for a discussion about St Athanasius's masterpiece, On the Incarnation. 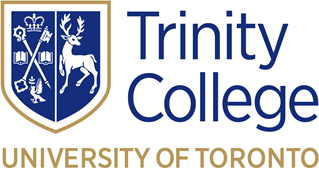 The Trinity College Divinity Convocation 2017 will be held on Tuesday, May 9 at 7:30 pm in Strachan Hall (Trinity College at 6 Hoskin Avenue, Toronto). A reception in the Buttery will follow. Trinity College is pleased to announce that Dr. Nona Macdonald Heaslip, The Venerable Allan Paul Feheley, and The Rev'd Canon Dr. John St. Helier Gibaut will receive honorary degrees from Trinity College at its Divinity Convocation on May 9, 2017. Students, faculty and friends are invited to a reception for retiring Dean David Neelands hosted by Provost Mayo Moran on Tuesday 2 May at 3pm in Seeley Hall. 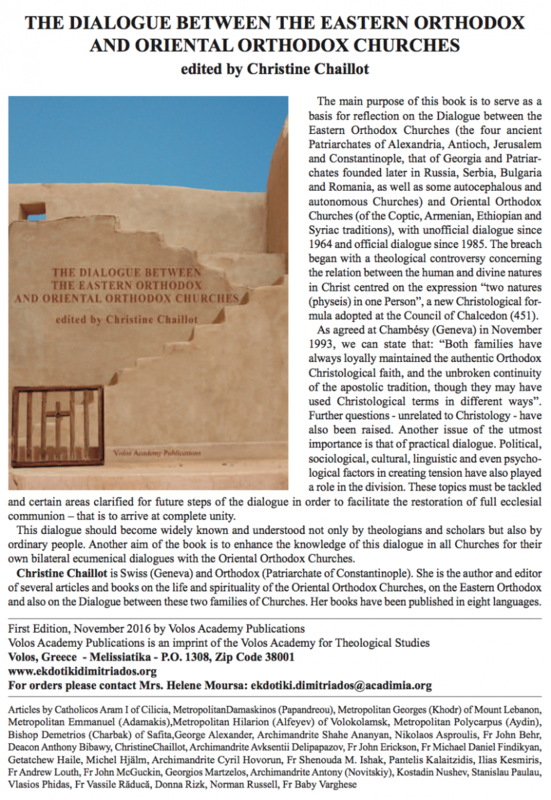 Renowned author and editor Christine Chaillot from Geneva, Switzerland, who has written several books and articles on the life and spirituality of the Oriental Orthodox Churches, as well as on the dialogue between the Oriental and Eastern Orthodox Churches, will be presenting her latest book at Trinity College on Tuesday 14 March at 7pm. All are welcome. Featuring faculty from the Orthodox School of Theology together with special guests, Dr Jordan Peterson, Professor of Clinical Psychology, University of Toronto, and Jonathan Pageau, Orthodox icon carver and editor of Orthodox Arts Journal. Please note the change in venue to Sheraton Hall, Wycliffe College (right across the road from Trinity College). At our Orthodox Christian Fellowship meeting on Tuesday 1 November, at 7pm, Join Fr Daniel Byantoro, an Orthodox Christian priest overseeing mission work in the world's largest Islamic nation, to hear his remarkable story and the ways the timeless Christian Gospel is changing the lives of everyday people in Indonesia.